Dr. Swaminath serves as the director of the Inflammatory Bowel Diseases Program at Lenox Hill Hospital. He is a practicing gastroenterologist with a clinical practice focused on treating patients with Crohn’s and colitis, a major contributor to the gastroenterology fellowship training program at Lenox Hill Hospital, and with an appointment as an Associate Professor in the School of Medicine at Hofstra University. In addition to authoring numerous original clinical, translational, and review articles, Dr. Swaminath is a sought after speaker in the field of inflammatory bowel diseases. He has served as a NYC Crohn’s and Colitis Foundation Chapter Medical Advisory Committee chair and currently participates as a member of the national scientific advisory Professional Education Committee. He has been featured on television news, and numerous print and online media. He is a sought after speaker for Grand Rounds, patient societies, and teaching conferences. Dr. Swaminath has a thriving multidisiplinary research program, involing both Phase III clinical trials to offer current edge biological therapy for patients with IBD unresponsive to standard therapy as well investigator initiated clinical projects in collaboration with the major medical centers in NYC. 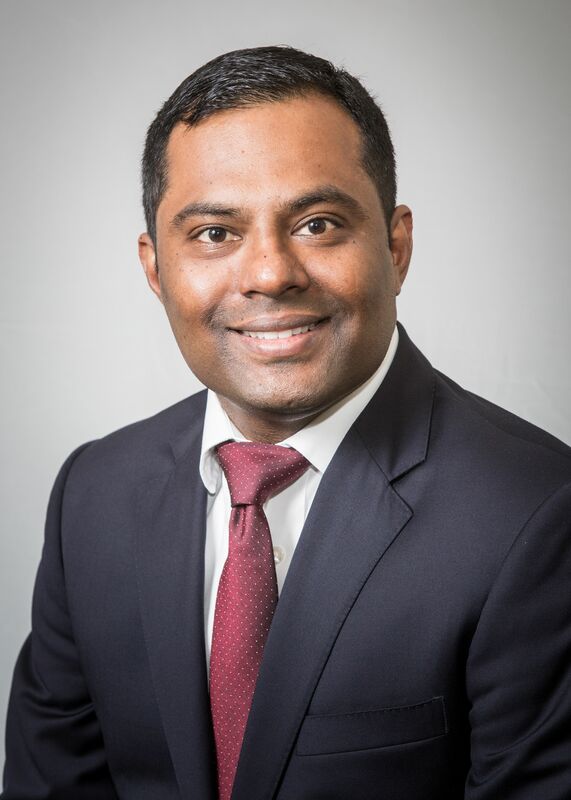 Dr. Swaminath’s areas of interest include, diet in IBD, determining cause of death in IBD patients using the city and state department of health database, studying the best treatments for IBD complicated by clostridium difficile, and management of iatrogenic injury in colitis patients. He has successfully served as a mentor to medical students, residents, MPH program graduates, and GI fellows with a strong track record of publication. 2006 ASGE Workshop on Achieving Academic Success, Washington D.C.
Korelitz BI, Sonapal N, Schneider J, Swaminath A, Felder J, Roslin M, Aronoff J. “Obestity/Bariatry Surgery and Crohn’s disease.” J Clin Gastroenterol 2017 May 9. Dulai PS, Singh S, Jiang X, Peerani F, Narula N, Chaudrey K, Whitehead D, Hudesman D, Lukin D, Swaminath A, Shmidt E, Wang S, Boland BS, Chang JT, Kane S, Siegel CA, Loftus EV, Sandborn WJ, Sands BE, Colombel JF. “The Real-World Effectiveness and Safety of Vedolizumab for Moderate-Severe Crohn’s Disease: Results From the US VICTORY Consortium.” Am J Gastroenterol. 2016 Aug;111(8):1147-55. doi: 10.1038/ajg.2016.236. Longman RA, Diehl G, Huh J, Swaminath, A, Miraldi E, Scherl E, Littman D. “Microbiota Regulate CX3CR1+ Mononuclear Phagocytes to support Colitis-Associated Innate Lymphoid Cell Production of IL-22.” The Journal of Experimental Medicine 2014 Jul 28;211(8):1571-83. Swaminath A, Bhadelia N, Wang C. “Cost-Effectiveness of QuantiFERON prior to initiation of biologic therapy in inflammatory bowel disease.” Inflammatory Bowel Disease Journal 2013, Aug 13. Swaminath A, Lebwohl B, Capiak K, Present D. “Practice patterns in the use of anti-tumor necrosis factor alpha agents in the management of Crohn’s disease: A U.S. national practice survey comparing experts and non-experts.” Digestive Diseases & Sciences. 2011 Apr 56(4):1160-64. Swaminath A, Longstreth G, Runnman E, Yang Su-Jau. “Effect of physician education and patient counseling on inpatient percutaneous feeding tube placement rate, indications, and outcome.” Southern Medical Journal. 2010, Feb 103(2):126-130. Swaminath A, Abreu M. “Early academic experience with the use of adalimumab in the treatment of Inflammatory bowel disease.” Alimentary Pharmacology & Therapeutics. 2009 Feb 1: 29(3): 273-8. Swaminath A, Lichtiger S. “Infliximab injection for the treatment of colonic strictures due to Crohn’s disease.” Inflammatory Bowel Diseases. 2008 Feb;14(2):213-6. Hudesman D, Mazurek J, Swaminath A. “Capsule Endoscopy in Crohn’s Disease: Are we seeing any better?” World Journal of Gastroenterology 2014 Sept 28; 20(36): 13044-13051. Swaminath A, Taunk R, Lawlor G. “Use of methotrexate in inflammatory bowel disease in 2014: A User’s guide.” World Journal of Gastrointestinal Pharmacology & Therapeutics. 2014 Sept 6; 5(3):113-121. Krishnareddy S, Swaminath A. “Update on the use of adalimumab in the management of Crohn’s disease.” 2013, Journal of Symptoms and Signs, Vol 2. Longman R, Swaminath A. “Microbial manipulation as primary therapy for Crohn’s disease.” World Journal of Gastroenterology, 2013 March 14; 19(10): 1513-1516. Swaminath A, Kornbluth A. “Use of video capsule endoscopy in Crohn’s disease.” Minerva gastroenterolgoica e dietologica. 2010 Dec; 56(4):437-49.